Please find below common questions and answers to questions that are asked in relation to the Significant Investor Visa. The Significant Investor visa was introduced by the Australian Government as a new stream within the Business Innovation and Investment (Provisional) (Subclass 188) visa and the Business Innovation and Investment (Permanent) (Subclass 888) visa. The Significant Investor Visa commenced on 24 November 2012. The purpose of the Significant Investor Visa is to provide a boost to the Australian economy and to attempt to entice high net worth individuals that are seeking investment migration. Applicants under the Significant Investor Visa are required to invest $5 million into complying investments for a minimum of four years before being eligible to apply for a permanent visa. Unlike other visa applicants, Significant Investor Visa applicants do not need to satisfy the innovation points test and there are no upper age limits. Further, here is no English language threshold requirement for Significant Investor Visa applicants. However, all applicants and any dependants over the age of 18 years old who are unable to demonstrate functional English language ability must pay a second installment of the visa application charge. Visa applicants may hold investments in each of the above investment options in any proportion and may also change between complying investments, provided they meet specified reinvestment requirements. States of Australia have different requirements around what has to be invested in. What are the reinvestment requirements if I want to change between complying investments? As the holder of a Significant Investor Visa, you may switch between complying investments provided the amount withdrawn from an investment is the same amount as what is invested in another investment. Significant Investor Visa holders have a maximum period of 30 days from the date the funds are withdrawn from one investment to reinvest into another complying investments. Funds invested into another complying investment within 30 calendar days are taken to have been held continuously from the original investment date in complying investments. What are Commonwealth, State or Territory government bonds? Commonwealth, State or Territory government bonds are bonds issued by the Commonwealth, or a State or Territory government authority. Some states, New South Wales for example, require a Significant Investor Visa applicant to invest a sum of money in State Bonds ($1.5 million in Waratah Bonds). Each State has their own requirements as to the composition of complying investments. What is an ASIC regulated managed fund? An Australian Securities and Investment Commission (“ASIC”) regulated managed fund for the purpose of the Significant Investor Visa is a managed investment scheme defined in the Corporations Act 2001 and regulated by ASIC. Any interests issued in the fund must not be able to be traded on a financial market and must be covered by an Australian Financial Services Licence. The managed investment scheme can be a wholesale scheme (otherwise referred to as a unregistered scheme) or a retail scheme (otherwise referred to as a registered scheme). One Investment Group acts as Responsible Entity for registered schemes and Trustee for unregistered schemes and is able to assist investment managers in the operation of Significant Investor Visa focused registered and wholesale managed investment schemes.  One Investment Group is the Responsible Entity or Trustee for in excess of 100 managed investment schemes with numerous Significant Investor Visa focused schemes. What requirements must an ASIC regulated managed fund meet to qualify as a complying investment? How do I prove that the ASIC regulated managed funds I invest in meet the visa requirement to be classified as a complying investment? To prove that the ASIC regulated managed funds you have invested in have only invested in the categories mentioned above, the managed fund must make a declaration on a Form 1413 that their services would be limited to the categories of investments outlined above. The Form 1413 will each managed fund you invest in. Will there be a list of approved managed funds that I can invest in? There is not a list of managed funds approved by the Department of Immigration for the purpose of the Significant Investor Visa. Should you be seeking managed funds that are approved, One Investment Group can advise you of managed funds they are aware of. It should be noted that the Department of Immigration place the onus on the Significant Investor Visa applicant for ensuring that the managed fund they have invested in meets the requirement of a complying investment. An Australian proprietary company is a company that is registered as a proprietary company under the Corporations Act 2001. It must be registered with ASIC. What requirements must a direct investment into an Australian proprietary company meet to qualify as a complying investment? For a direct company investment to qualify as a complying investment, the applicant must acquire an ‘ownership interest’ in the company, and the company must operate as a ‘qualifying business’. An ‘ownership interest’ means interests as a shareholder in a company that carries on the business, including interests held directly through one or more interposed companies, partnerships or trusts. You may hold your ownership in any proportion in the Australian proprietary company. A ‘qualifying business’ means an enterprise that is operated for the purpose of making profit through the provision of goods, services or goods and services (other than the provision of rental property) to the public, and is not operated primarily or substantially for the purpose of speculative or passive investment. It must have an Australian Business Number. Can a Significant Investor Visa applicant invest to establish a new company that is not yet operating as a qualifying business? A Significant Investor Visa Applicant may choose to invest any part of their complying investment into establishing a new company with the purpose to operate as a qualifying business. In this case, if the applicant invests in the company for a period of two years or more while holding the provisional visa then the company must operate a qualifying business for at least two years. If the applicant’s period of investment in the company is for less than two years then the company must operate a qualifying business for that whole period. Otherwise, the Significant Investor Visa applicant must show that you have made a genuine attempt to establish and/or maintain a qualifying business. How does a Significant Investor Visa applicant show that they have made a genuine attempt to operate a qualifying business? The Significant Investor Visa applicant must provide evidence that they, or the people responsible for managing the company, have done their best to establish and run a qualifying business in Australia. Evidence may include business proposals, research that has been undertaken, the value of investment used in establishing a qualifying business, and business activities undertaken. What investment structure can an applicant use to make and hold the complying investments? through a valid trust where the trustees and beneficiaries are the Significant Investor Visa applicant or together with the applicant’s spouse or de facto partner. Through these structures the Significant Investor Visa applicant may hold complying investments in any proportion. This allows the applicant the flexibility to make their own decisions on the level of investment risk that they undertake and also allows the applicant to exercise their investment skill when constructing and managing their investment portfolio. Is a Significant Investor Visa applicant allowed to engage another person to manage their complying investments? The applicant may engage a third party to manage the complying investment on their behalf if they choose to do so. As the holder of a Significant Investor Visa, the applicant is not required to have any direct involvement in managing the complying investments. Is there a guaranteed return on my complying investments? The structure of the complying investment will be dependent on the underlying investment. However, the Australian Government and your immigration case officer is not to take any role in an applicant’s investment decisions and cannot guarantee any return on the applicant’s complying investments. It is highly recommended that an applicant seek their own professional legal and financial advice before investing. What is the process for applying for a provisional Significant Investor Visa? All intending migrants who are interested in applying for a provisional Significant Investor Visa must submit an Expression of Interest through SkillSelect and be nominated by a State or Territory government in order to receive an invitation to lodge a visa application. SkillSelect is an online service that enables skilled workers and business people interested in migrating to Australia to record their details to be considered for a skilled visa through an Expression of Interest. Are there requirements around the source of funds an applicant uses to make a complying investment? The applicant must demonstrate that the assets or funds they use to make the complying investment are unencumbered and lawfully acquired. At the time of application the Significant Investor Visa applicant is required to provide a statement identifying their ownership and value of assets for a minimum of $5 million proposed to be used to fund the complying investments. When does an applicant need to make the complying investment? The applicant will be required to make the investment before the grant of their visa. It is recommended that the complying investment not be made until the applicant has been informed by the office processing the applicant’s visa to do so. This is to ensure that the applicant has met the remaining visa criteria, including health and character requirements for this visa, prior to making a financial commitment. Can investments made prior to application for the visa be counted towards the $5 million complying investment? Yes, if they meet the requirements of a complying investment. However, prior investments must still be held for at least four years on the provisional visa before a Significant Investor Visa applicant become eligible to apply for the permanent visa. Is it possible to invest in property? Investments in property will not be considered as a complying investment. However, a Significant Investor Visa applicant may invest in an ASIC regulated managed funds which may invest in real estate in Australia. How should a Significant Investor Visa applicant lodge their application? If an individual has been nominated through SkillSelect by a State or Territory for a Significant Investor visa and you meet other mandatory criteria, the individual will receive an invitation to make an application for a Significant Investor Visa. The applicant will have 60 days to lodge their visa application using the Department’s electronic lodgement system. If the applicant has not lodged an online application within this time, they will be sent another invitation and will have a further 60 days to lodge their online application. If an applicant receives two consecutive invitations in SkillSelect but do not lodge a valid visa application as a result of either invitation, their Expression of Interest will be removed from the SkillSelect database. This would mean that the applicant would need to formally resubmit an Expression of Interest to be considered for future invitation rounds. How does an applicant supply supporting documents? If an applicant is invited to apply for a provisional Significant Investor Visa, they will need to provide additional supporting documentation directly to a processing centre. The processing centre to which they must send documentation depends on their country of residence. This documentation must be provided at the same time as the visa application. How do Australian States or Territories nominate applicants? Once an applicant’s Expression of Interest is in SkillSelect, it can be viewed and a State or Territory can decide whether to nominate the applicant to apply for a visa. The following State and Territory governments have their own criteria for deciding which applicants they will nominate. In some cases, and before an applicant is nominated, the relevant State or Territory will contact the applicant to discuss business possibilities. Other State or Territories may wait for the Significant Investor Visa applicant to contact them. If an applicant is nominated by a specific Australian State or Territory, is the applicant allowed to move to a different State or Territory? When an applicant is are nominated by a State or Territory for a provisional Significant Investor Visa, it is the expectation of the Department and the State or Territory government that has nominated the applicant that they have a genuine intention to reside in their jurisdiction. What are an applicant’s options if a State or Territory does not nominate them for a Significant Investor visa? The Business Innovation and Investment program is a State and Territory government nominated program. An applicant must have been nominated by a State or Territory government to apply for a Significant Investor Visa. Can I extend my Significant Investor visa? If an applicant meets the requirements for the Significant Investor Extension stream, they are able to be granted another provisional Significant Investor Visa if they wish. The applicant will be able to apply for a maximum of two additional provisional visas in the Significant Investor Extension stream, bringing the maximum total period on a provisional Significant Investor Visa to eight years. How does an applicant extend their provisional Significant Investor Visa? To be able to be granted another Significant Investor visa, an applicant must be nominated by a State or Territory government and have continuously held complying investment for the life of their previous provisional Significant Investor Visa. An applicant can apply online using the Department’s electronic lodgment system. At the time of application, the applicant must have held a provisional Significant Investor stream visa for at least three years or have not held more than one provisional visa in the Significant Investor Extension stream. What requirements does an applicant need to meet to be eligible to apply for a permanent Significant Investor Visa? have met the residence requirement. What does it mean to hold the complying investments for the life of the provisional Significant Investor Visa? It means that an applicant must hold their original complying investment continuously until they apply for a permanent Significant Investor Visa (for any reinvested complying investments, they are considered holding them continuously if they satisfy the reinvestment requirements). It includes the duration of their original four year provisional Significant Investor Visa and any extension visas granted afterwards. Visa condition 8557 will be placed on a provisional Significant Investor Visa which requires an applicant to maintain the complying investment. If an applicant breaches this condition their visa may be cancelled. What happens if the value of an applicant’s complying investment falls below $5 million? The value of an applicant’s complying investment can fluctuate throughout the duration of their provisional Significant Investor Visa. Provided the applicant does not withdraw their complying investment, they will not be required to provide additional funds to maintain the balance of $5 million. Conversely, if the value of an applicant’s investments increases, they are not allowed to withdraw the increased value. Should an applicant choose to withdraw their complying investment, they will need to reinvest it into other complying investments within 30 calendar days. Otherwise, the applicant will breach visa condition 8557 to maintain the complying investment and their visa may be subject to cancellation. Does an applicant still have to hold their complying investments once they are granted a permanent Significant Investor Visa? If a migrant is granted a permanent Significant Investor Visa, they are no longer required to hold the complying investments. To be granted a permanent Significant Investor visa, the applicant must genuinely have a realistic commitment to maintain business or investment activities in Australia, but they do not need to be made via complying investments. What is the residence requirement for the Significant Investor Visa? To be granted a permanent Significant Investor Visa, a primary visa holder must be resident in Australia for at least 40 days for every year or part year that they have held a provisional Significant Investor Visa. The residence period does not need to be met per year but can be met cumulatively over the time the primary visa holder held the provisional visa. Is an applicant’s family and I able to work or study in Australia as a provisional Significant Investor Visa holder? In relation to the right to undertake work or study, there is no limitation placed on an applicant or their family members when holding a provisional Significant Investor Visa in Australia. Where can an investment manager find out further information about setting up a Significant Investor Visa managed investment scheme? Should you be interested in establishing a managed investment scheme that is Significant Investor Visa compliant, One Investment Group is able to provide a comprehensive solution including Responsible Entity or Trustee, Custodian, Registrar and Fund Administrator or, alternatively, we are able to provide standalone services. One Investment Group has a diversified team with deep experience in both establishing and operating Significant Investor Visa compliant funds. Please contact us for further information. Where can an applicant find further information about the Significant Investor visa? Information on the Significant Investor visa can be found on the Department of Immigration and Citizenship’s website.